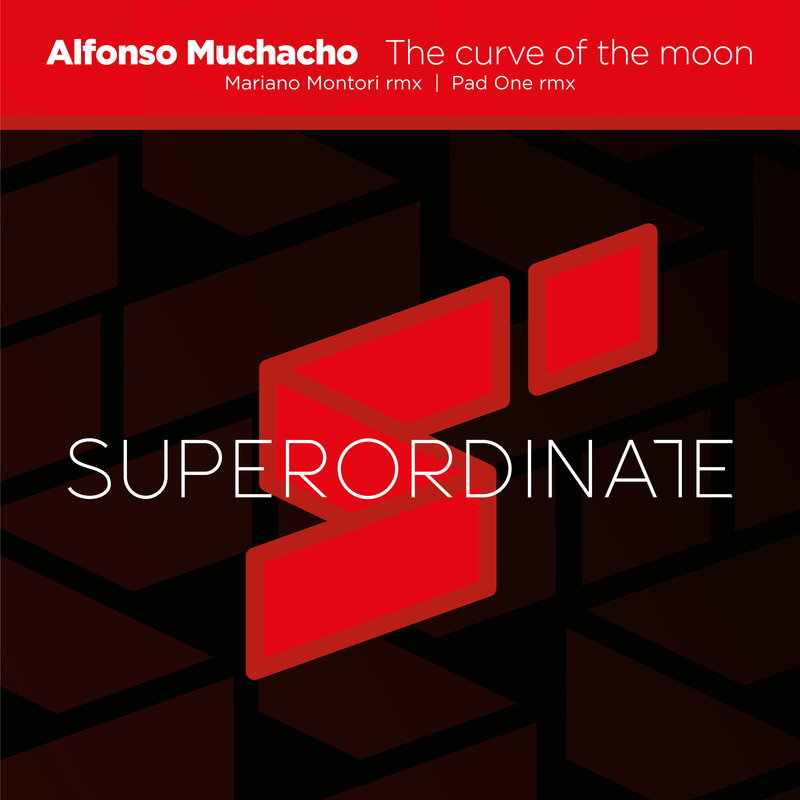 The 15th release on Superordinate Music is out this week and finds Alfonso Muchacho making his debut appearance. The UK based producer had a strong 2015 with EPs on 3rd Avenue and Slideways Music being the most impressive. Here he makes his much anticipated debut appearance on the fast rising Superordinate Music with ‘The Curve of the Moon’ alongside remixes from Mariano Montori and Pad One. For those that follow Alfonso’s music you know that he’s an artist not afraid to explore new territory, and definitely doesn’t get locked into a definitive sound. His Slideways EP was quite dark and menacing while his EP for 3rd Avenue came across with more of a timeless melodic vibe. The unpredictability is refreshing and on ‘The Curve of the Moon’ we get something quite exciting again. It’s driving energy is infectious right out of the gate and the dark electronics definitely come with some ferocity. Some stripped down sections make for lovely transitions and also build great anticipation along the way, rather than opting for the predictable main break. So it’s a smooth flow of electric energy from start to finish. Big time stuff from Alfonso. The companion piece ‘False Down’ begins with a long DJ friendly intro which methodically works it’s way into a slow burning, hypnotic groover with several emotive moments. A buzzing bass line still gives it some bite but it’s pretty clean and serene otherwise, focusing more on a subversive state of mind than the lead piece ‘The Curve of the Moon’. Both brilliant tracks that’ll find their way into a variety sets I’m sure. The two remixes supplied also take the tracks in very nice directions and offer great alternatives to the originals. First up Mariano Montori makes his label debut and takes ‘The Curve of the Moon’ into deeper, groovier and more atmospheric territory. Backed by a chunky groove, the Argentine uses the thematic elements in a more subtle context and conjures up a very mystical vibe in the process. Excellent work from a producer you’re going to be hearing a lot more about in 2016. Lastly we have Superordinate label artist Pad One making his sixth appearance and taking ‘False Down’ in a new inspired direction. The Italian artist is much loved for his old school, atmospheric sounding productions and he’s remodelled the original in a similar fashion. A bubbly bottom end provides some lovely bounce to the groove while a tranquil top end takes you further into dreamland. The vocal pads are a nice touch, particularly leading into the main break, which sets up a more minimalistic return perfectly. Great remix from Pad One once again and a strong release for Superordinate who continues to build momentum in the new year. Don’t miss it.